Nowadays, DUI (driving under influence or driving under impairment) is a serious problem in United States. There are many car accidents occurring because some of the drivers are driving under influence of an alcohol or substance that could affect the drivers motor skills. Imagine an accident which could take many lives is happening just because a driver was having a good party before driving back home. It is really not worth it. So many states have began to formulate a plan on how to reduce the number of accidents caused by DUI or even better, to prevent any driver to drive under influence or driving under impairment. After thousands of accidents, many states are now using an ignition interlock installed in a car to prevent DUI or driving under influence. Ignition interlock functions are to prevent your car’s engine to start before you blow your breath sample into the breathalyzer. If your breath sample hit alcohol up to certain percentage, then your car engine won’t start and you’ll have to wait until your level of alcohol in your blood decrease under permitted limit. Only by then, you can start your car’s engine. This particular device is good in preventing your kid (or his/her friends), wife or anybody to drive under influence which can make the road to be a safer place. 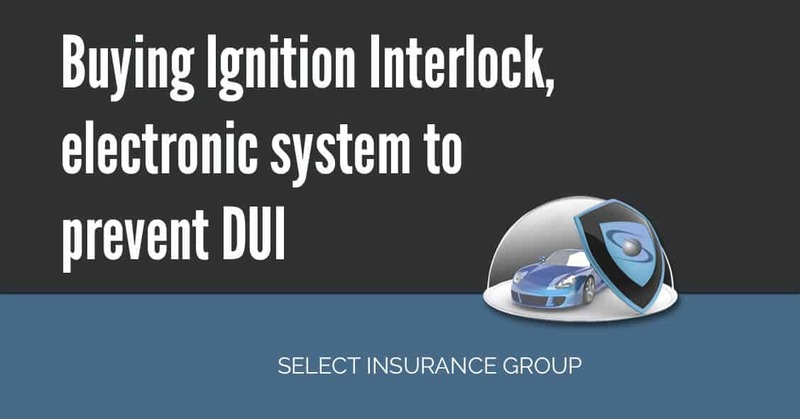 But what do we need to consider before buying and installing an ignition interlock on your car? Well, there are some few things that you have to think of before buying or installing them. When buying and installing an ignition interlock functions to your car, you will have to visit dealer for at least once per 2 months. You will have to calibrate the sensor on ignition interlock so that the reading is accurate. Make sure your location provides such service as you might not want to drive to another city only to have your ignition interlock sensor calibrated. The ignition interlock device that you purchase and going to install – have to meet all requirements of The National Highway Traffic Safety Administration so that the reading accuracy and reliability is valid and you can use it as an argument or prove that you are not driving under influence. If you are buying this for personal use, make sure that the ignition interlock device that you purchase can be configurable to fit your needs. Some of the devices are already have the random re-test feature. By using this new feature, the driver will not only need to blow to turn on the car, but several times until hangover is almost worn off. This feature was set up so that nobody could lie or ask others to blow breath sample into the ignition interlock devices. You can always export the report about the alcohol level on the driver every time it is used. Make sure that you understand how to read the report and you can easily access the report from the device. If your car is going to be used by multiple people, make sure to keep some extra mouthpiece in the car. The ignition interlock devices are usually used to check drivers if they drive under influence of alcohol. If person violated DUI laws, he have to buy and install an ignition interlock device for the car, until he demonstrate a period of compliance. Typically, the offender must pay for the device and all installation fees. If the offender doesn’t have ability to pay for it, the State can pay for him in advance. An interlock will usually cost around $70 up to $150 to install, with the maintenance fee of $60 up to $80 for a month for calibrating the sensor and monitoring. Always practice safe and legal driving; you will never know who you harmed when you are DUI or when you are driving reckless. The road belongs to everybody, so let’s keep it safe. If you had DUI and required to file SR22 or FR44 insurance certificate – Select Insurance Group is right place to stop. We shop multiple companies to get you best rates on a market. Newer DUI checkpoint, what is that and how does it work?